Branding the world starts with branding your chocolate. Make your logo edible. Go get our promotional Edible Branded Chocolate Square! 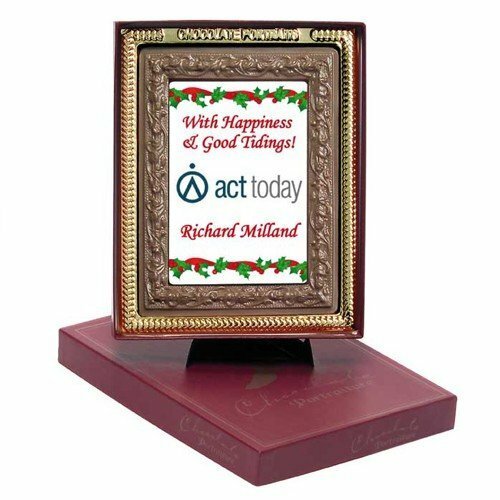 If you’re looking for the perfect chocolate giveaway that will not only impress people, but also give you effective advertising as well, then we suggest that you take a look at our custom Edible Branded Chocolate Square. This wonderful giveaway product is guaranteed to be a delicious treat that will keep you on track on your marketing goals. 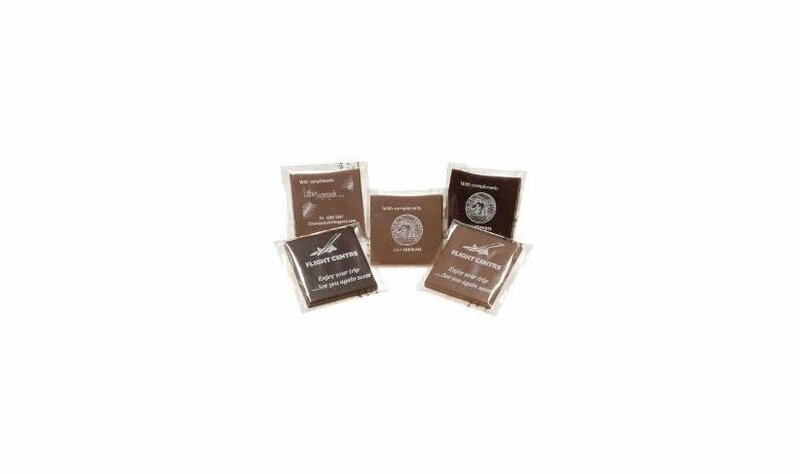 The promotional Edible Branded Chocolate Square is 50mm in width, 50mm in height, and 4mm in depth. It comes packed inside a cello wrapper and is customisable to host your branding. You can send us the logo of your company or any design and we’ll have it printed at the allotted space in front. Just do note that the allotted printing space is 40mm in width and 40mm in height. Choose your flavour between milk chocolate or dark chocolate. If you’re after a smooth, creamy, well balanced taste, the milk chocolate flavour is your best bet. Or if you’re after a rich, strong taste, the dark chocolate will certainly meet your needs. We’re also glad to tell you we only use the finest ingredients with all our confectionery products so you’re getting absolutely nothing but the best for your money. This product also comes in a twin pack version, which is the promotional Edible Branded Chocolate Square Twin Pack. Do check that out if you like that option. Or if you like chocolate squares to come in gift boxes, the personalised Milk Chocolate Square Gift Box is something you should also look into. We also have wearable products that can be customised for your branding like the custom embroidered Sunset Cap so also please check them out. Let us know how we can help you by sending us a chat message or by calling our hotline at 1300 008 300. We’re always eager to be of service to you.